GLOBALBASE is offering the mirror server to open source software support program SOURCEFORGE.JP. 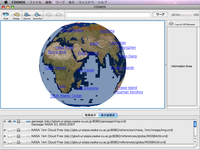 sourceforge.jp version Project of This Month. International Research Center for Japanese Studies.